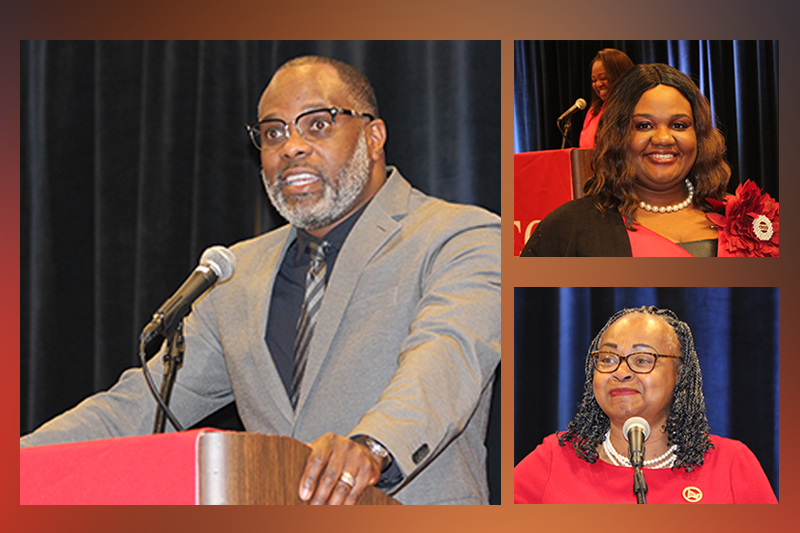 Sunday, April 22, the Carter G. Woodson African American History Museum celebrated 10 women trailblazers in Pinellas County at the St. Petersburg Marriott Clearwater. 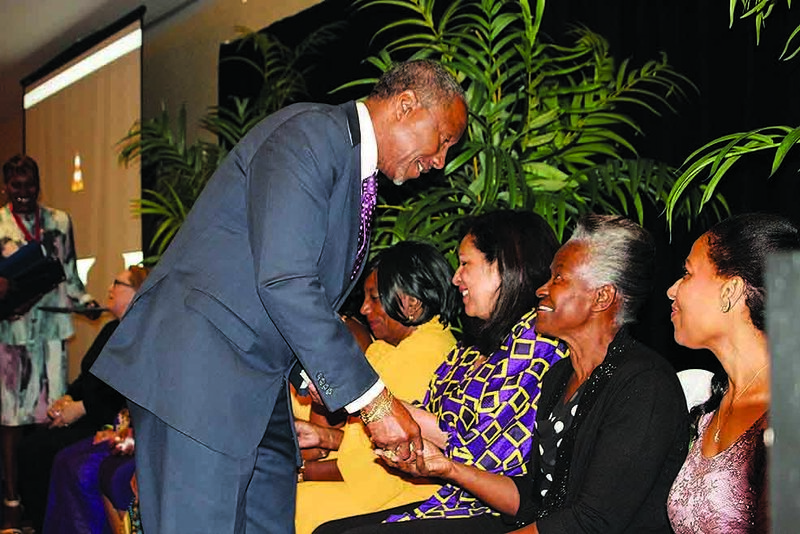 ST. PETERSBURG – The Carter G. Woodson African American History Museum held its fourth First Ladies in African American History event honoring local trailblazer in Pinellas County last Sunday. 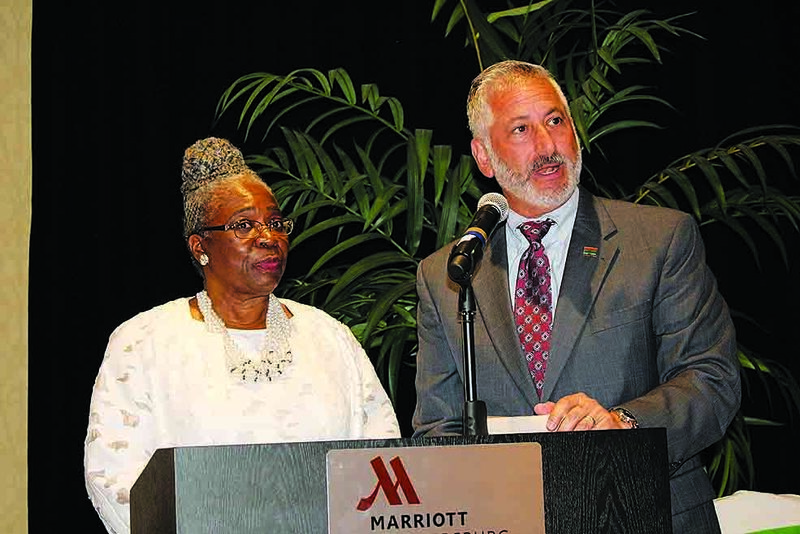 Held at the St. Petersburg Marriott Clearwater, the community, local politicians and even gubernatorial candidate Philip Levine stopped by to congratulate the honorees. 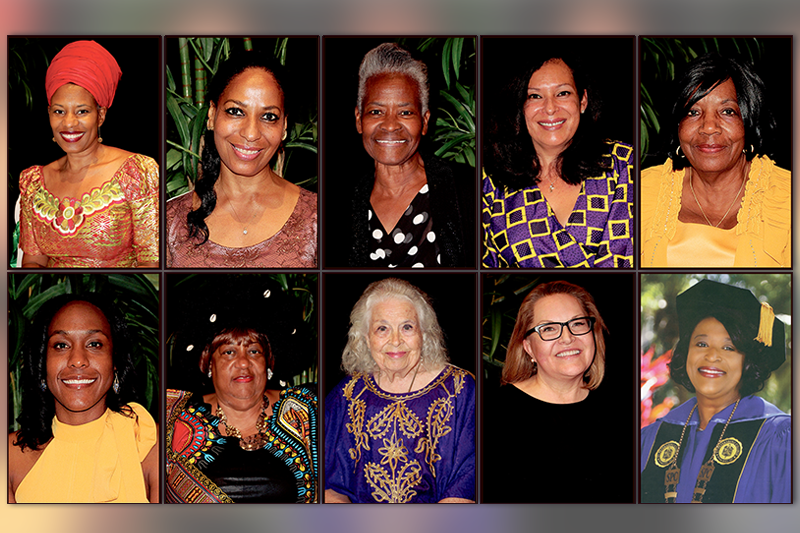 Mayor Rick Kriseman proclaimed Sunday, April 22, 2018, as a day to honor Black Women’s History Month and the Frist Ladies in African American History in St. Petersburg and urged everyone to recognize their historic contributions. Each year this celebration grows larger and attracts awe-inspiring keynote speakers such as this year’s Marion Lee Johnson, a superstar mathematician. Much like her predecessors Dorothy Vaughan, Katherine Johnson and Mary Jackson—whose efforts helped blaze pathways to the stars during the Space Race and were celebrated in the 2017 film “Hidden Figures”—Johnson’s contributions remained hidden for decades. They served as the brains behind one of the greatest operations in history of that time, Johnson said, when they contributed to the launch of astronaut John Glenn, who became the first American to orbit Earth in 1962. Five years later in 1967, Johnson was nearing graduation at Talladega College in Alabama. Eager to hit the ground running in the workforce, she started to look for a job, and Johnson, a mathematics major, was promptly hired as an associate engineer by Boeing after a visit to the company in Huntsville, Ala. Following the civil rights struggle, the reality of integration in the workplace opened up new opportunities, and Johnson had a chance to stake her place in history. Working with NASA, Boeing was a leader in building the Saturn V rocket and Johnson was responsible for preparing data inputs for simulation of vehicle impact trajectories. She was honored by Boeing for receiving a perfect score of 20 successful mission runs in 20 attempts in March 1969 and for contributing to the first manned moon landing in July 1969. “I was humbled to have my name enshrined in the Apollo/Saturn V Roll of Honor,” she said. Johnson came from humble beginnings in Savannah, Ga., where her mother worked as a nurse and her father a mason. “I was ecstatic to move out of Savannah and start my new life!” she said. As she and her family made the six-hour drive to Talladega, Ala., Johnson experienced racial profiling for the first time. Johnson’s father explained to a state trooper that he was just taking his daughter to college and that his papers were in the glove box, and even requested permission to pull them out, not wanting to make sudden moves around the trooper. Johnson and her family were afraid of what would happen next, but when the state trooper was apparently satisfied, he told the Johnsons they were free to go. “Once I stepped foot out of the station wagon and onto the campus, and I knew that my life was about to change,” she said. “Instead of memorizing the limits of combined and composite functions…I was doing the twist!” she said, adding that after her first semester, she lost her scholarship. But she knew she had to “get it together” to avoid embarrassing her family. She refocused, worked hard and redeemed her scholarship then turned her efforts to finding a job that would suit her strong background in math. Even when she saw an entry-level position as an engineer at Boeing, she remembered telling herself, “So? You’re no engineer!” and it was the first time she could remember putting a kind of limitation on herself. But she decided not to “listen to that little devil” that was on her shoulder and applied for the job anyway. The people who lived in the landing location of these items had to be notified so that no one would be harmed, she explained. Her perfect scores for calculating those trajectories weren’t just flattering awards—they were proof that Johnson’s correct calculations helped save lives. 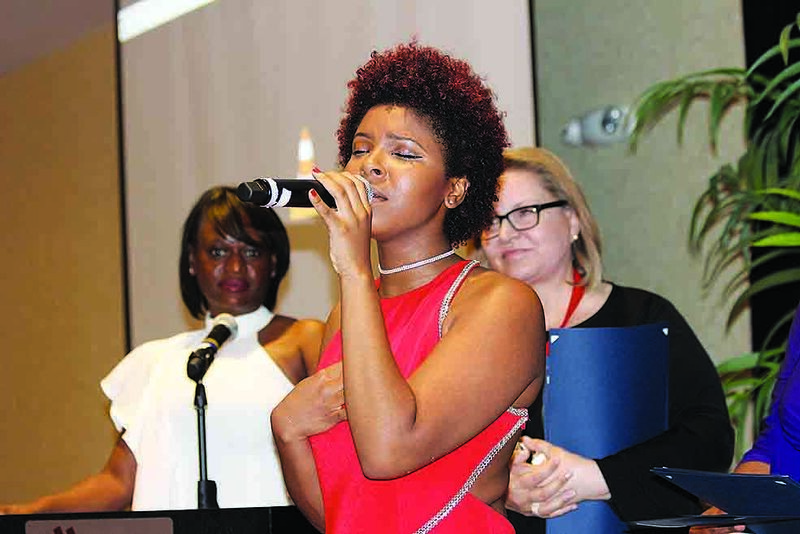 Mentorship can truly make a difference in a young person’s life, she said, and as an educator, Johnson has had many students who have thanked her for changing their lives. Just like her own mentor—her seventh-grade math teacher Mr. Simmons—Johnson encouraged today’s youth, particularly the young ladies, for a STEM career (Science, Technology, Engineering and Math). Such careers are closely linked to global competitiveness and there is a lack of gender and ethnic diversity of students entering STEM educational programs. “Not enough young people are being educated, are inspired about developing an interest in STEM,” Johnson noted, adding that the education in American junior high schools, in particular, seems to be a “black hole” in the interest of young people, namely of young women when it comes to the sciences. According to the National Science Foundation, she said, in the 21st century, scientific and technological innovations have become increasingly important. The first African-American female to cultivate St. Pete’s first African American Art and Film Festival, Carla Bristol has made her mark in St. Petersburg. A native of British Guyana and raised in New York, this mother of two enjoys strengthening her community through art and culture. 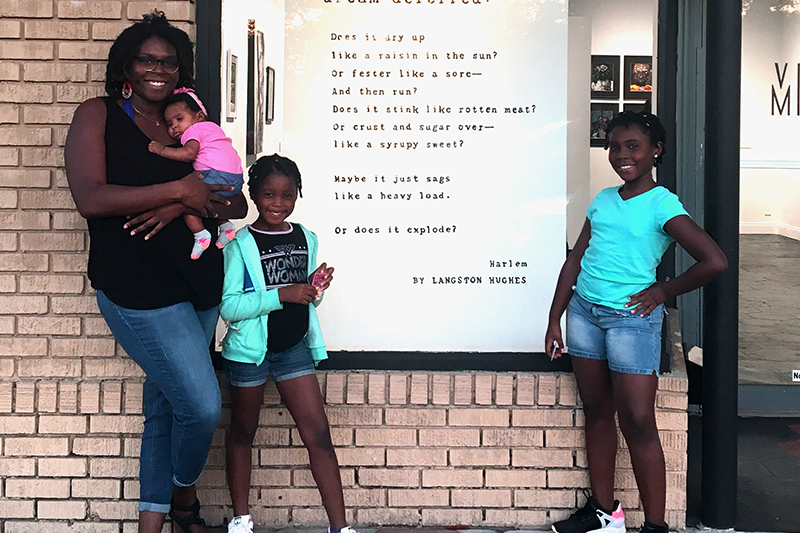 An art gallery owner who has expanded her brand to include community engagement, she has been featured in numerous publications and profiled on several television shows to include CNN representing the small business perspective. Her community involvement is never-ending, and stems largely from her affiliation with organizations such as the Pinellas County Historical Commission, Create Pinellas and Preserve the Burg. In addition, she currently serves as first vice president of the Pinellas Democratic Caucus and works tirelessly with the African American Heritage Trail Committee and on Studio@620’s board of directors. 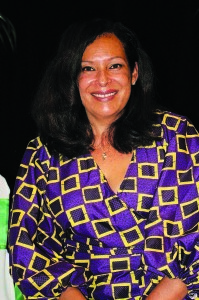 She has also served on the board of the Dr. Carter G. Woodson African American History Museum. A recipient of numerous awards, she garnered recognition in the duPont Registry, Tampa Bay Business Journal Readers’ Choice Award, Most Iconic Style from Local Shops 1; an Arts, Culture and Heritage Award in 2015 and a Small Business of the Year Award. The first African-American female member of the Florida Orchestra, Mary Corbett is also an active chamber musician. She received a bachelor’s degree from the Eastman School of Music where she studied under Charles Castleman. Upon graduation, she was awarded a Charles Revson Fellowship with the New York Philharmonic where she performed for two years. Her numerous highlighted performances peaked with “Live from Lincoln Center,” and the re-opening of Carnegie Hall with Marion Anderson in attendance. Prior to moving to Florida, she was the assistant concertmaster of the South Bend Symphony. The Grand Teton Music Festival, held in Jackson Hole, Wyo., is a highlight of this first lady’s career. Musicians from major orchestras worldwide collaborate, performing orchestral and chamber music concerts. The first African-American female director of St. Petersburg Public Libraries, Mary Stafford Gaines oversaw the public library system and was instrumental in writing two separate grants for two stand-alone facilities: James Weldon Johnson Branch and South Branch Libraries. Her responsibilities included the administration of the main library and six branches, administering a budget in excess $5.6 million and a staff of 100 people. She directed library operations during construction of the library on the Gibbs campus of St. Petersburg College and the opening of the Childs Park Branch Library. This first lady holds a bachelor’s degree from Florida A&M University and a master’s in Library and Information Science from Florida State University. 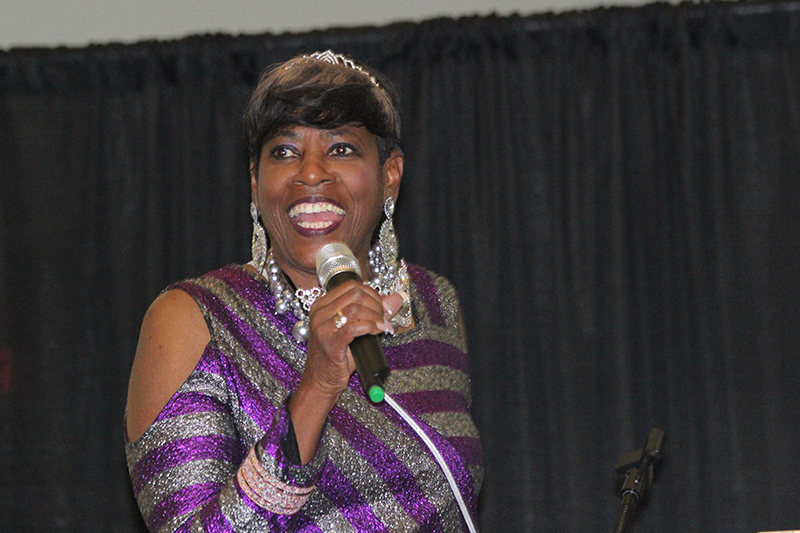 Within the community, she serves faithfully as a member of Christ Gospel Church International. 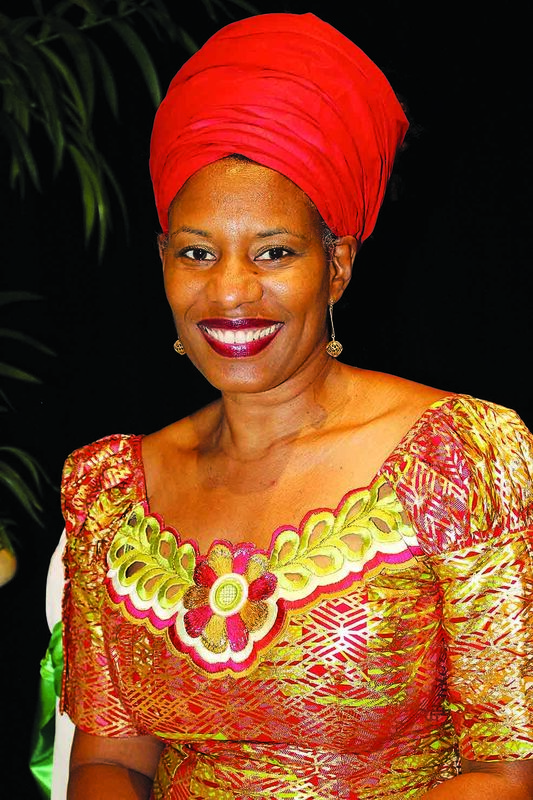 She maintains affiliation with the Florida Library Association and has served as a member of the American Library Association, the National Forum for Black Public Administrators and the Pinellas Public Library Cooperative Library Director’s Advisory Council. 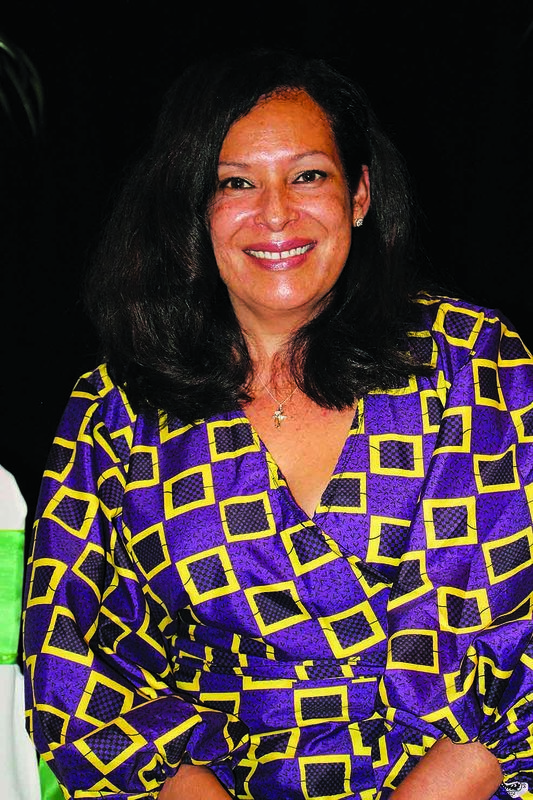 Publisher of the Powerbroker magazine, Gypsy Gallardo is the first African-American female publisher of the longest thriving magazine targeting African Americans in the Tampa Bay region. Her professional experience is extensive with years of working with award-winning organizations in fields that are vital to transforming community economies. She is CEO of Urban Market Analytics, which specializes in designing, funding and evaluating solutions that positively impact economic progress for low-income individuals. 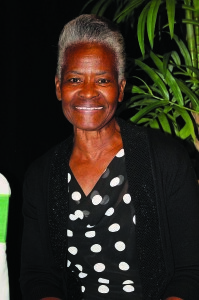 She co-led the advocacy campaign to create the South St. Petersburg Community Redevelopment Area. 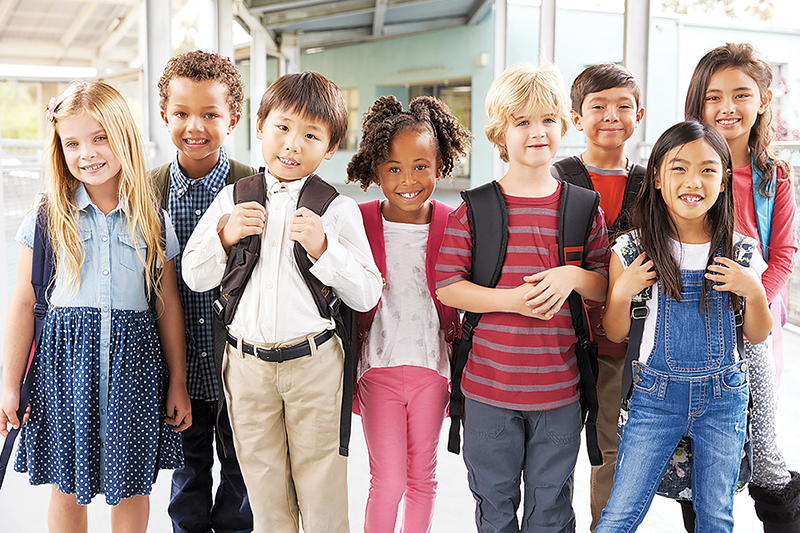 The CRA is the first in Pinellas County located within a low-income community and the first designed to invest in workforce development and other non-construction activities. Further, she is the CEO of The 2020 Plan, an initiative committed to reducing the poverty rate in south St. Petersburg by 2020. 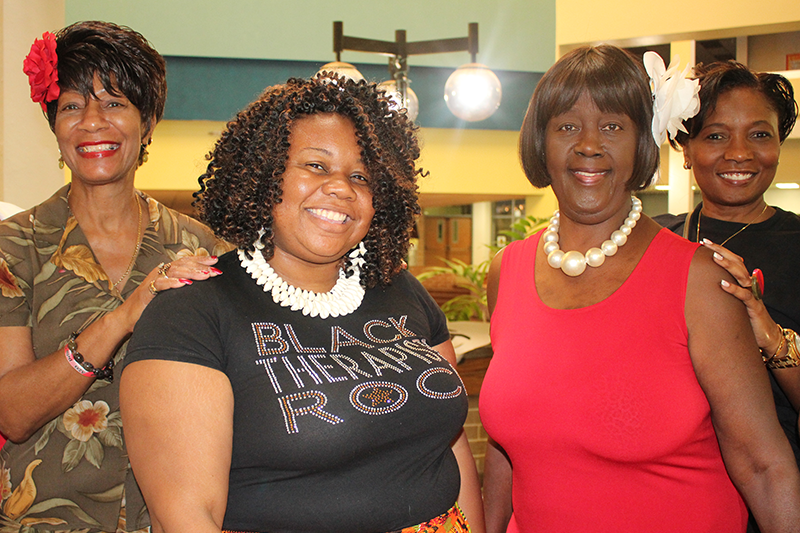 Involved in the community as the Founder of the St. Petersburg Economic Development Corporation, board member of the St. Petersburg Area Chamber and board member of R’Club Childcare, she is committed, dedicated and results driven. She earned a master’s degree in Public Policy from Harvard University’s Kennedy School of Government and bachelor’s degree from the Whitney Young College of Leadership at Kentucky State University. She is also the CEO of the Power Broker Media Group. The first African-American female Brigadier General in the U.S. Army Reserve, Dr. Carrie Nero attended community college and became a nurse. With a specialized medical background, she was highly recruited from a local hospital by the U.S. military. Beginning a career with the Army Reserves in 1975, she began pursuing two careers that would parallel. As a civilian, she attended USF and received bachelor’s degree in counseling and behavioral health, a master’s degree in nursing and a doctorate in higher education. 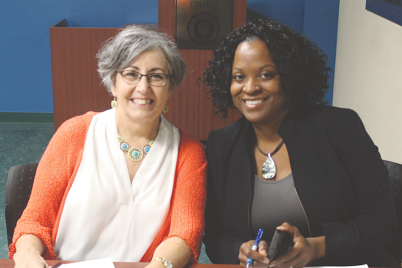 As both careers began to blossom, she found enjoyment in her civilian employment at the Pinellas County Health Department where she served as the director of Minority Health. During her tenure, the department reviewed data on health disparities in the African-American community. 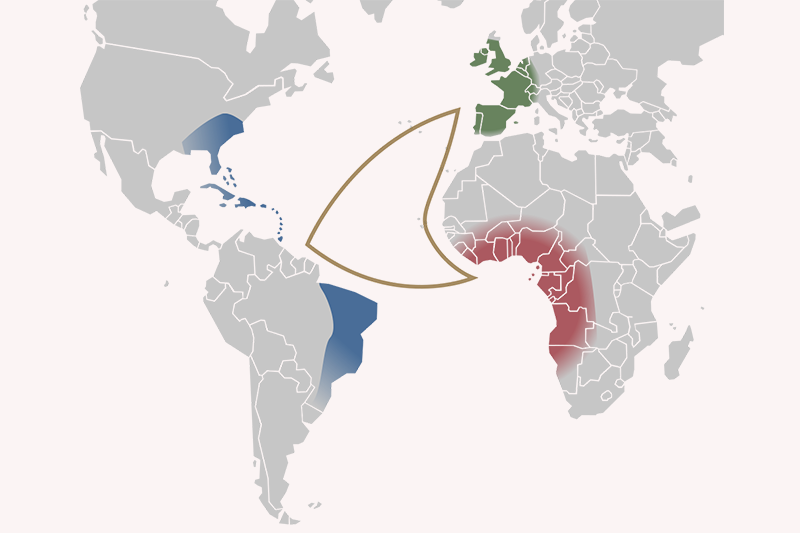 She was also able to research and study the sickle cell disease and its prevalence in minority communities. Meanwhile, in the U.S. Army, she served in Desert Shield/Storm caring for wounded soldiers in Alabama, Tampa and Georgia. In 2002, dedication to her military career and commitment to training earned her one of the most distinguished honors bestowed upon reservist. 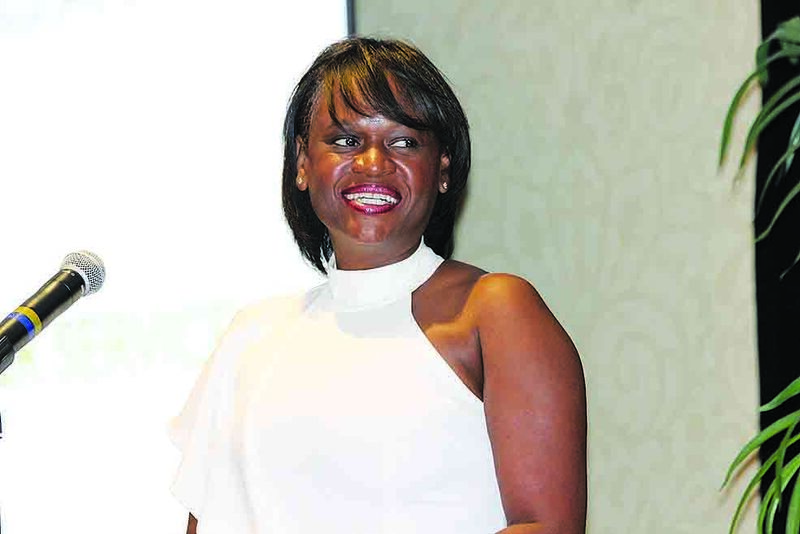 Her activities in Pinellas County include establishing Pinellas County Healthy Start and Pinellas County Health Department’s first Sickle Cell Anemia screening program. She is also a part of the “Closing the Gap” task force that focuses on eliminating health care disparities. Her awards and recognitions are numerous with her most recent acknowledgment by the mayor in November when honoring our veterans. The first African-American female Olympian from St. Petersburg, Rose Richmond is a product of Pinellas County Public Schools. Her competitions began at age six when she joined the St. Petersburg Striders Track and Field Club. The interest continued to be central to her academic and professional careers. Her celebrated career at Lakewood High School landed her with the title of four-time state long-jump champion. She went on to earn a scholarship to Indiana University where she set a Big Ten conference school long jump record and earned a Big Ten title. Showing her versatility, she was a member of the relay team and became a four-time All-American in the 4×100 relay. After retiring from track and field, the University of Kansas recruited her as a volunteer coach. That year the women’s team won the first NCAA track and field title in program’s history. Subsequently, she was named director of External Operations for Track and Field/ Cross Country. 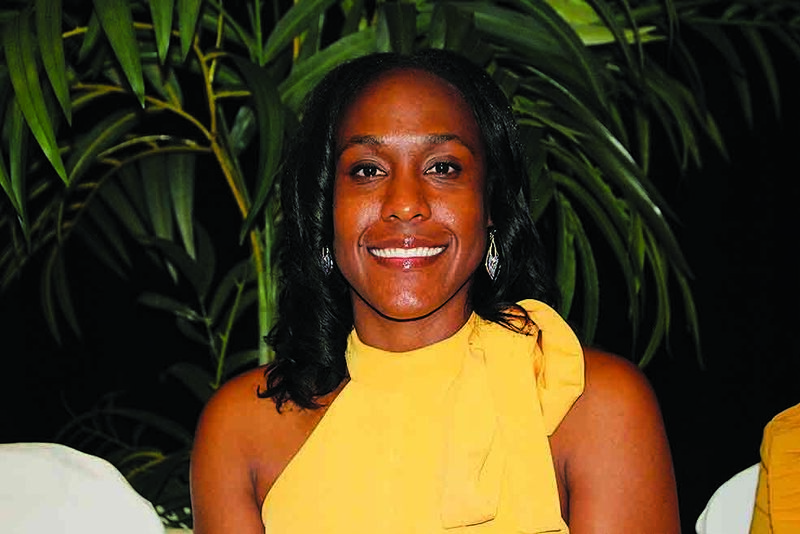 She is currently the director of operations and recruiting coordinator for Track and Field at the University of Kansas. This stellar athlete competed successfully at the 2006 World Athletic Final and the 2006 World Cup. 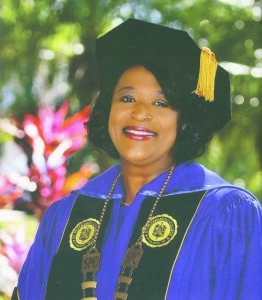 The first African-American female to author three books that detail African-American life and culture in Pinellas County and the founder of the Pinellas County African American History Museum, Sandra Rooks obtained a bachelor’s degree in English from Florida A&M University, a master’s degree in English Literature from the University of South Florida and has pursued coursework toward a doctorate in higher education administration at Barry University. 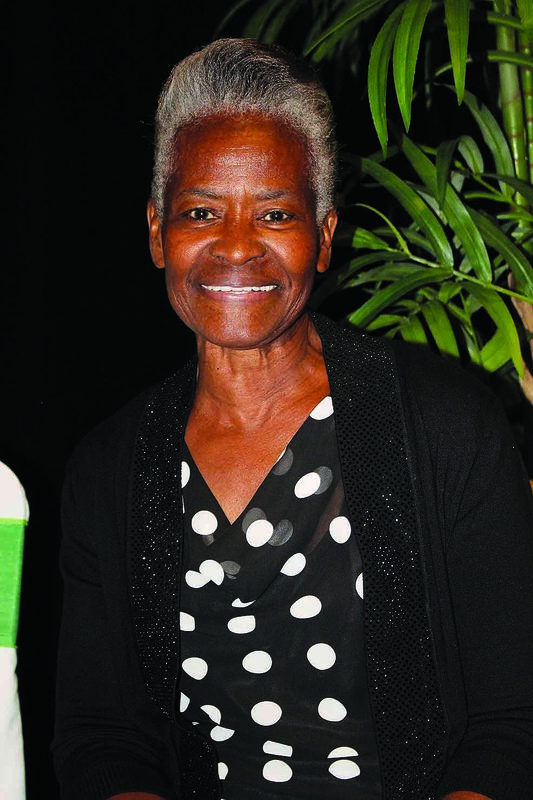 As a professional, she retired from teaching in 2000 to devote efforts toward the creation of the Pinellas County African American History Museum for which she currently serves as the executive director and curator. 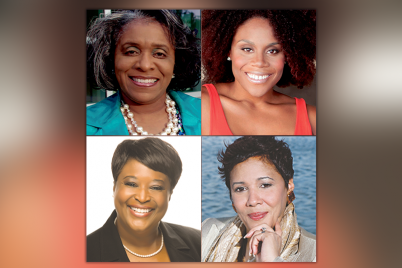 In addition, she is an adjunct professor at the University of Phoenix, a noted author, speaker and lecturer. Her civic involvement includes an NAACP lifetime membership, affiliations with the Pinellas County Historical Society, Association of African American Museums and the National Museum of African American History and Culture. 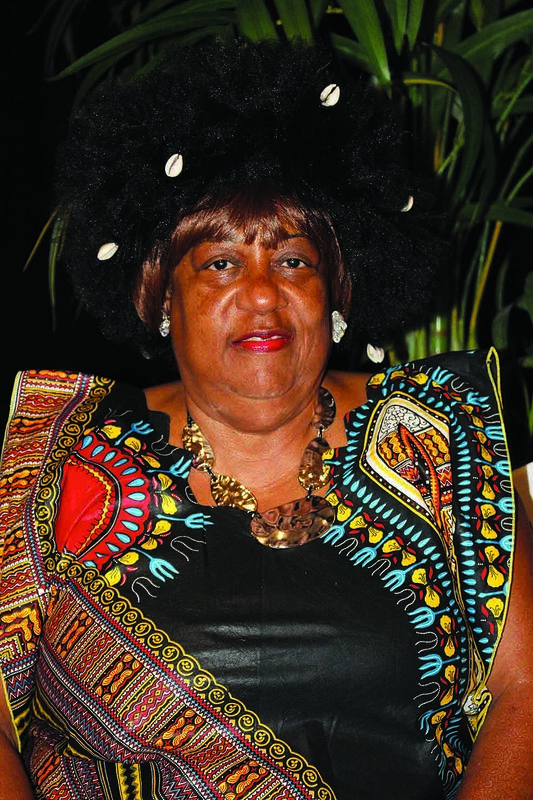 One of her most celebrated accomplishments was the creation of the Florida African American Heritage Festival that drew between 4,000 and 10,000 visitors annually. Having received numerous accolades, the H. Councill Trenholm Memorial Honor is her most coveted honor, which was presented by the National Education Association in Washington, D.C. The first African-American and the first woman president of St. Petersburg College, Dr. Tonjua Williams credits much of her success to the upbringing and training provided by her mother, family members, teachers, neighbors and the wonderful relationship she has with her loving husband. She holds a Ph.D. from Barry University in Higher Education Administration with a specialization in Educational Leadership. 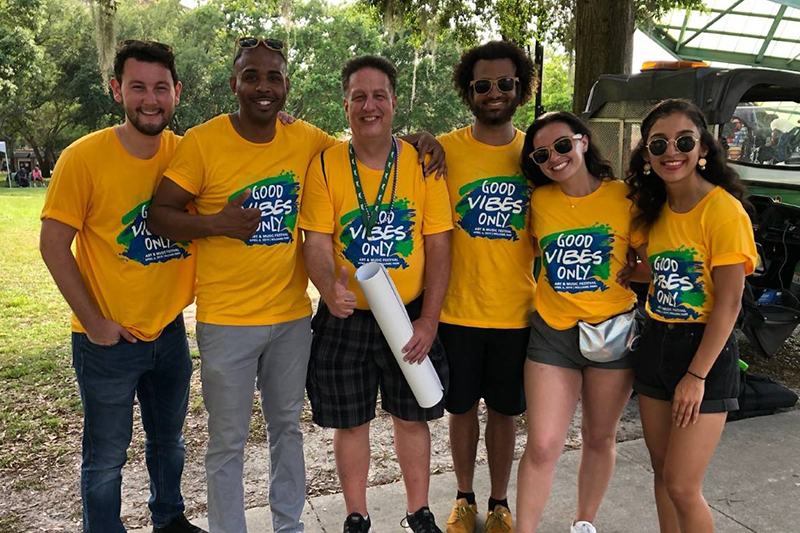 She has participated in several leadership programs including the State of Florida Chancellor’s Leadership Program, Leadership St. Petersburg, University of Florida’s Executive Leadership Program and the American Association of Community College’s Thomas Lakin Leadership Program. She was recently selected as one of 40 leaders in the inaugural class of the Aspen Presidential Fellowship, a yearlong program designed to prepare leaders aspiring to be community college presidents. Her passion is to help others overcome obstacles and succeed in life. As a recipient of community outreach services and a member of “the village,” she understands the importance of reaching out to others and helping them realize their full potential. 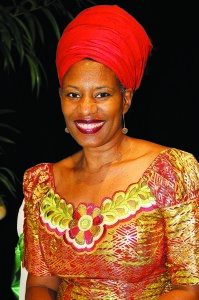 Williams is active in her community and has received many awards and recognition including the Junior Achievement Educator of the Year for Pinellas County, the St. Petersburg Area Chamber of Commerce Iconic Woman of the Year and was chosen as one of Academy Prep Center’s 5 Fabulous Females. Brave, courageous, tenacious and unyielding, Winnie Foster received the Lifetime Achievement Award. Her zeal to serve the community was shaped as a little girl growing up in a Quaker family environment in Pennsylvania. Foster solidified what would become her soul’s mantra—fighting for women’s rights, integration and equal rights in the workplace. 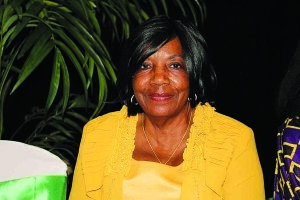 Foster’s pollinating character led to her joining the League of Women Voters alongside C. Bette Wimbish, the first African-American member of the St. Petersburg City Council. 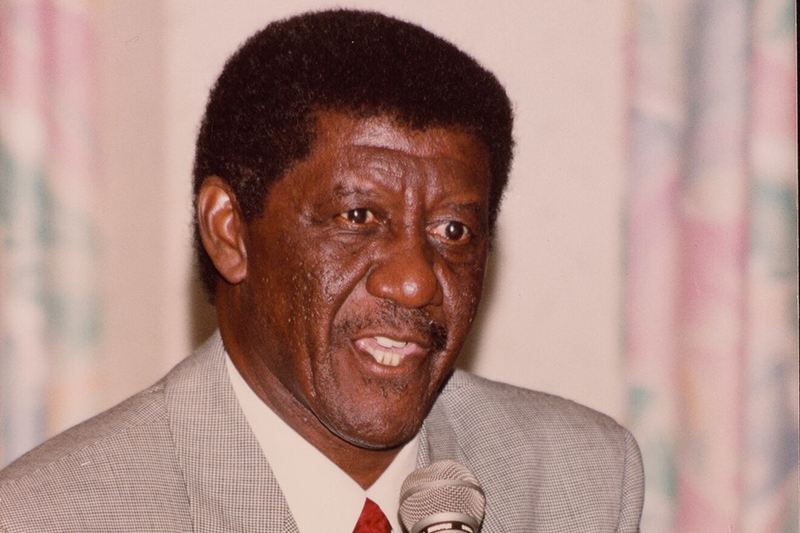 In the election for Pinellas County Judge in 1971-72, Foster found herself contributing significantly to help Attorney James B. Sanderlin become the first black judge in Pinellas County. Through the Sojourner Truth Center, the nascent nonprofit, she has built a large garden containing six raised beds in her side yard. 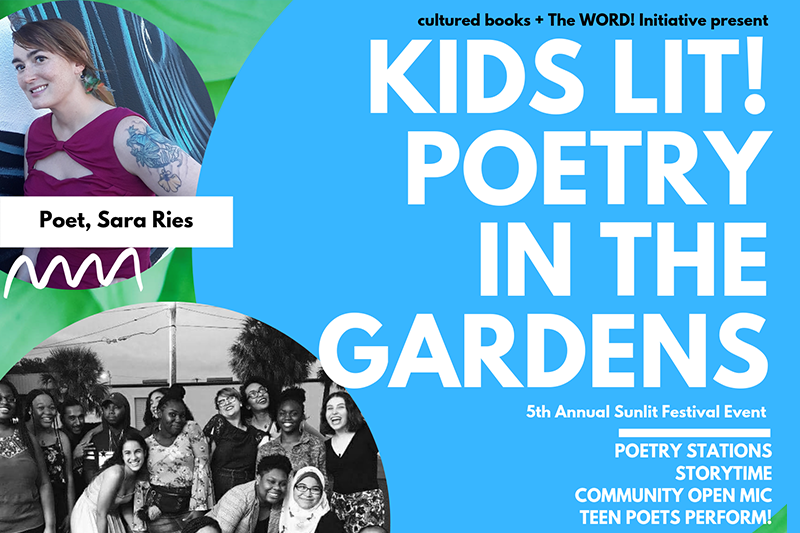 Named for the abolitionist and women’s rights activist, she invites local youth to help tend the garden and lights up when teaching them about growing food. To her, this knowledge is crucial. She believes local youth—especially south of Central Avenue where food deserts reign—are suffering a deep disconnect that could have a detrimental impact on their physical, mental and emotional development. 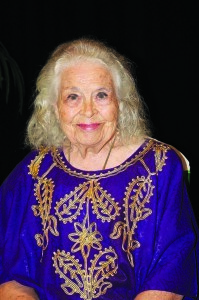 Born in 1927, Foster came of age in the middle of World War II. For her last two years of high school, she went to a Quaker boarding school in Ohio. Civil rights leader and LGBTQ equality pioneer Bayard Rustin visited her school and she got to meet him. Rustin, who went on to become an advisor to Martin Luther King Jr., inspired her. As the Civil Rights era gained steam, Foster was there to help it along. 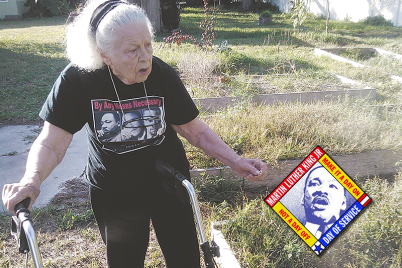 “I remember making lots and lots of peanut butter sandwiches to put on the bus for people who were going to Washington for the Poor People’s campaign at the time of Martin Luther King,” she said. 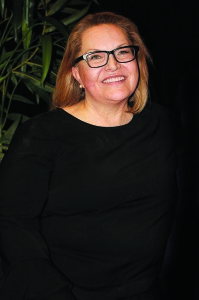 The recipient of the inaugural Winnie Foster Lifetime Achievement Award, Lorna Taylor, is the president and CEO of Premier Eye Care, a leading expert in national managed eye care that provides services and administration of everything from routine vision exams to complex ocular surgical procedures. A graduate of Princeton Theological Seminary with a master’s degree in divinity concentrating in social ethics, she is heavily involved in charity work. Her work has taken her to London, where she met the Prince of Wales, to universities in Dubai and on an art and cultural exchange in Cuba. As a member of the International Green Belt Movement, she has served on the national board. Her charity work has been noted through organizations including the Florida Coalition Against Domestic Violence, which raises private funds to support the 42 domestic violence shelters in Florida, as well as the Tampa Bay Businesses for Culture and the Arts. Taylor went to divinity school, not to be a minister but just because she wanted to study divinity. There, she learned community service can be a way to live a spiritual life. “For me, it’s just how I live out my desire to be a global citizen,” she stated. Personally, Taylor is involved in a wide variety of community and nonprofit causes. 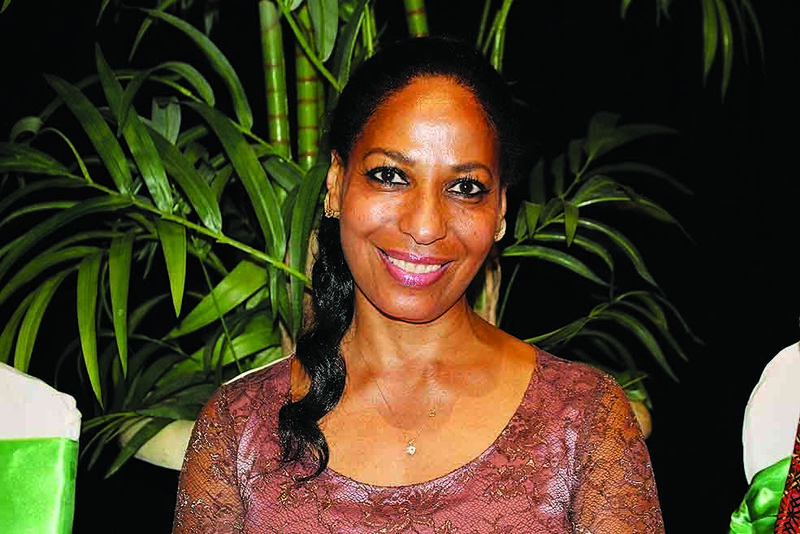 She has volunteer board positions with the Dalí Museum, Preserve Vision Florida, Florida Coalition Against Domestic Violence Foundation, University of Tampa Board of Trustees, Arts Conservatory for Teens, Tampa Bay Businesses for Culture and the Arts and is an extraordinary friend of the Dr. Carter G. Woodson African American History Museum.